There are two animals that live in the plains and jungles of Africa– lions and hippos. Lions are the warriors of Africa. They are beautiful, lean, muscular. There are movies about lions, musicals about lions, and kings have been named after lions. The “Ghost and The Darkness” is a horror movie about man eating lions that lived along the fledgling railroad being built in the 19th century in Africa. “The Lion King” is a beautiful animated film, and live action Broadway musical about the life of a lion. It begins at the infancy of a small lion named Simba, and finishes when Simba becomes the King of Pride Rock. The musical and the movie won awards and accolades. The English King, King Richard I, was known as the Lion Heart. He was born in 1157 and died in 1199. He was considered brave. He led armies at the age of 16, and used his position as king to raise one of the strongest armies throughout Europe. He was fictionally portrayed in various “Robin Hood” productions as the cousin of Maid Marion, the love interest of Robin. He was seen as strong and the heroic king, who fought in the first Crusades. Hippos are the polar opposite of lions. They are not brave, they are not dangerous, and they are not portrayed kindly in most movies. There are no kings named after hippos. Rather, they have become the representation of a joke. Hippos are seen as lazy, demanding, diva-ish, dependent, and fat. Hippopotamus are one of the largest animals in Africa. They are rarely hunted by lions, or any other animal in the water or in the land, because they socialize in large herds upwards of 40-50 animals. Though the animals are slow on land, they are very fast, and aggressive in the water, and can swim up to 5-6 miles per hour (by the way, that’s faster than a man can swim). They are one of the most dangerous animals in Africa and are responsible for more wild animal inflicted deaths than any other animal in Africa, they are considered the most dangerous animal in Africa. Hippopotamus can live up to 50-60 years old in captivity, and in the wild 40-50 years in the wild. Zulu warriors prefer to be called Hippopotamuses, since even Lions don’t match them in bravery. Lions are the largest cats in Africa. They weigh up to 550 pounds, which is considerable less than the Hippopotamus. The Lion life span is considerably shorter than the Hippopotamus, males generally live 10-15 years in the wild, and 20 years in captivity. A Lion’s pride usually consists of 20-30 lions. Most of the pride is female, with 1-2 males. Female lions are considerably smaller than the males, and are faster and more aggressive. When male lions turn 2-3 years old they are turned away from the pride. They either become nomadic lions, or they form their own pride. The males sleep over 20 hours a day. The females do hunt, but ironically, most of their diets are from scavenging rather than killing the animals themselves. Often a pride will steal the kill from hyenas or cheetahs. Many of the animals they consume die from natural causes. The males will sometimes eat offspring that do not belong to him, to preserve his blood lines. Lions do not normally kill, or consume humans. Historically there are two instances of male lions killing and consuming humans– the first was the inspiration of “The Ghost and The Darkness” and occurred in Tsavo, and another instance occurred between 1995-2005 in Tanzania. It is estimated that there are 200 Africans killed by wild animals in Tanzania annually, lions are only responsible for around 70 of all those who are killed, the rest were killed by Hippos, Rhinos, or Elephants. Recently, the hippopotamus has become the mascot for military spouses. It is meant as an insult by those that see themselves as the warriors, or lions. It is meant primarily to put some people down, while building others up. The funny thing, the animal that’s perceived as the most dangerous, beautiful, and king of all beasts, is actually not seen as all that brave or heroic in the native culture in the area where both lion and hippos roam. 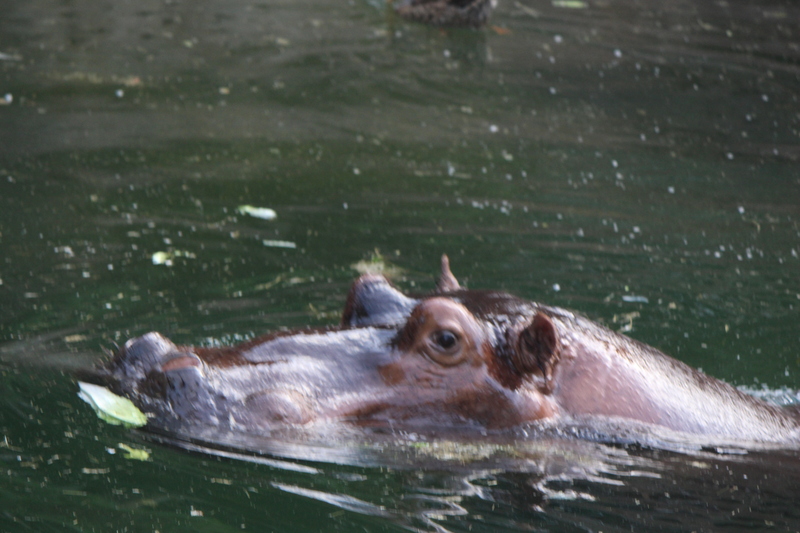 Tanzanians and Zulu see hippos as the heroic and brave creature. 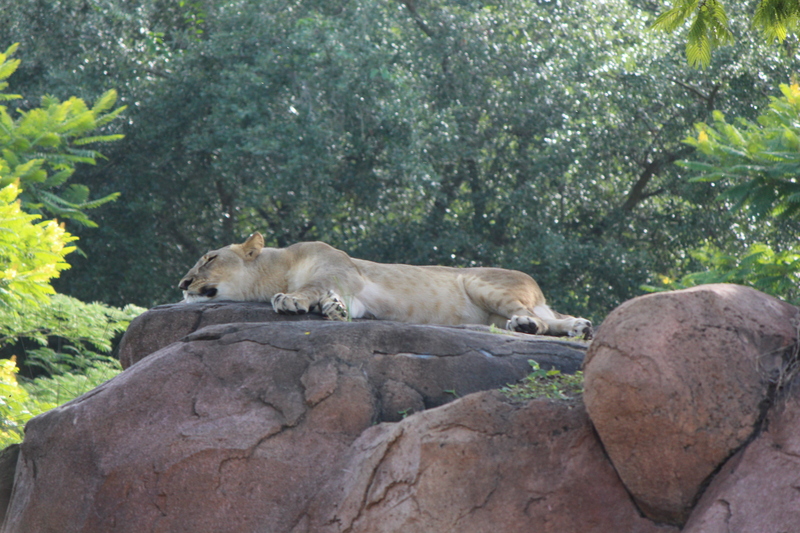 Lions are seen as scavengers and lazy. Africans both fear and revere the animal meant to be an insult in American Culture. If I were asked which animal I want to represent me, I would not pick either a hippo, or a lion. I am not technically considered a hippo, and since I left the service, I don’t really consider myself a lion. Rather than a hippo, lion, cheetah, or any number of other animals in Africa, I would pick a dentist. Recently, a dentist killed both a hippo and a lion, and honestly, I’m more afraid of dentists than I am of anything else.